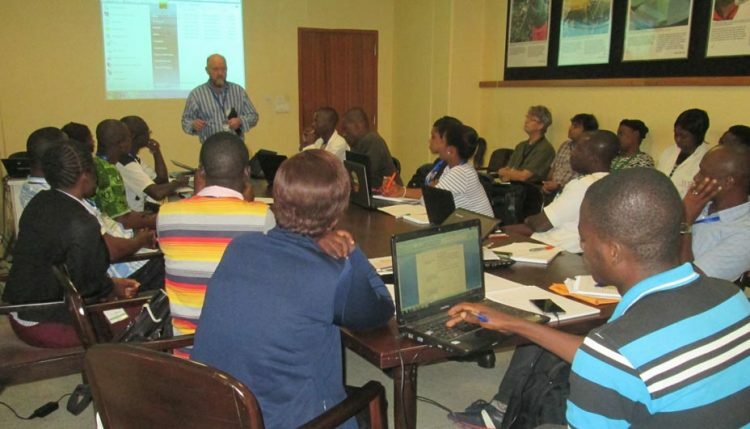 The AfricaYam project is hosting two weeks of training, 20 June to 1 July, at IITA, Ibadan, to effectively equip yam research personnel on techniques for phenotyping yam for disease and developing pest resistant varieties. 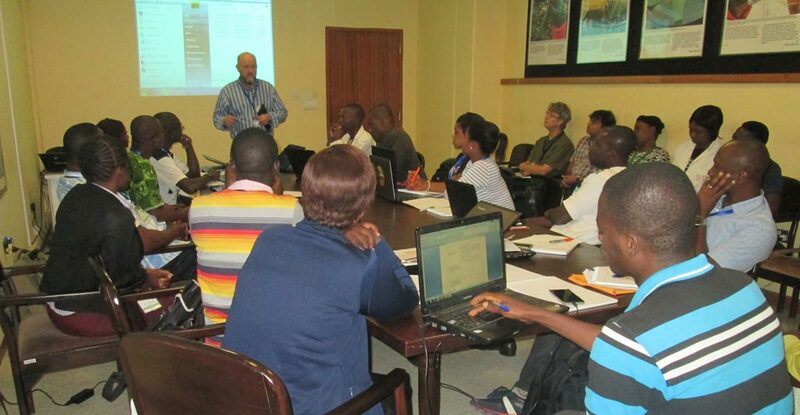 Participants learn key aspects of phenotyping for yam diseases. Yam has been plagued by anthracnose, nematodes, and viruses, with a high number of these integrated in its DNA. The training is expected to address these issues. It is organized by Lava Kumar, Head of IITA’s Germplasm Health Unit, and features hands-on application of various phenotyping methods in laboratories and on-farm. Participants have been briefed on the working principles of methods and procedures, experimentation, data collection using manual and digital methods, and the interpretation of results and conclusions on genotype reaction. Experts from IITA and other research institutes in the field of phenotyping and breeding for disease resistance will talk about the key aspects of phenotyping methods, pathogen and pest isolation methods, diagnostic methods, and data analysis. They include Michael Abberton, Head of Genetic Resources Center; David De Koeyer, AfricaYam Project Leader; Badara Gueye, Head of In vitro gene bank; Ranjana Bhattacharjee, Molecular Geneticist; Joseph Onyeka, Head of Pathology Unit at NRCRI; and Olufisayo Kolade, Postdoctoral Fellow and phenotyping specialist. One of the key objectives of the AfricaYam project is to breed high yielding, good quality tubers with resistance to diseases (anthracnose and yam mosaic virus) and nematodes. This goal is achievable and will address many constraints caused by yam diseases which have negative economic impacts on farmers’ income due to on-farm and storage losses of yam tubers.